I am not a professionally licensed counselor, but my pastoral role often has me coaching couples through challenging times. Most of the time, I'm challenging one or both spouses to look to God for His help and direction in getting out of the stagnant place they are and to get moving toward restoration. Jenifer has said that we often end up feeling like cheerleaders. "God can do this. He will help you. Depend on Him to change things. Get out there and fight for your marriage!" Jenifer was speaking to a dear friend in Texas who was in the process of walking a woman through a marital crisis. Our friend sat at the table in the woman's home, spurring her on to join God in restoring what the enemy had taken. She was apparently being pretty loud and passionate because her two young children came into the room. One of them commented that our friend reminded them of a scene from Pixar's "The Incredibles." 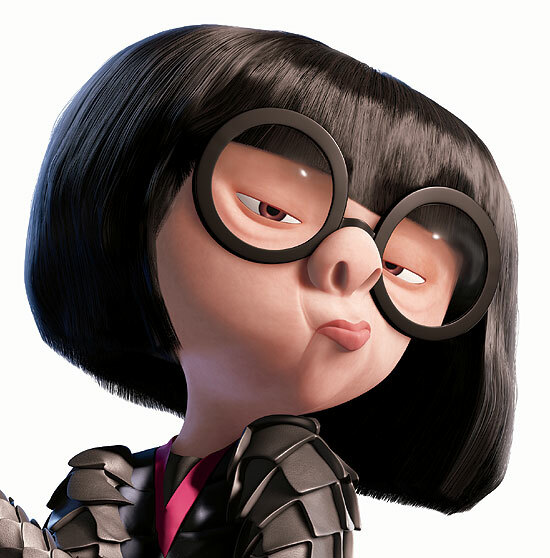 Apparently, she sounded a lot like Edna Mode when she was coaching Elastigirl to go and get her husband back. Then she told us the story and passed on the clip to us. Our response: we can relate to Edna Mode. "Show him that he is Mr. Incredible...and you will remind him who you are!" "Go. Confront the problem. Fight! Win!" Do that in the power of the Holy Spirit of God and you're off to a pretty good start...and call me when you get back. I enjoy our visits.